On the occasion of the 100th anniversary of the March 1 Movement, a crucial turning point in Korea's independence movement as it provided a catalyst for the resistance, an exhibition sheds light on the known and unnamed people who fought for Korea. "A Hundred Years Ago in the Cultural Heritage" is held at Seodaemun Prison History Hall, which was built originally in 1908 during the Korean Empire and was the site of imprisonment for many Korean independence fighters during the 1910-45 Japanese occupation. The exhibit, organized by the Cultural Heritage Administration (CHA), features handwritings of renowned independence fighters as well as information on those imprisoned for independence activities. Cultural Heritage Administrator Chung Jae-suk recited Shim Hun's poem "When That Day Comes" and said it has been 74 years since "that day" arrived in Korea. "Many independence fighters guarded the nation with their lives and that day became an ordinary day in Korea. We want to ruminate over the history of fighting for independence from Japan through cultural heritage," Chung said during a press preview of the exhibit, Monday. Poet Shim Hun was imprisoned in Seodaemun Prison after being arrested at a rally in front of Namdaemun Gate on March 5, 1919. He wrote a letter to his mother on Aug. 29. Some writing samples by poet and Korean independence activist Hwang Hyeon (1855-1910) are on public view for the first time at this exhibition. Also known by his pen name Maecheon, Hwang grieved over Korea's loss of independence in 1910 and committed suicide by drinking poison, leaving a "Suicide Poem" behind. About three years later, Buddhist reformer and poet Han Yong-un wrote a memorial poem for the nobleman who could not endure the disgrace of his country. A handwritten copy of the memorial poem for Maecheon is on exhibit at the former prison. To preserve the fragile old papers, originals of some documents are only on view on certain dates including Feb. 19, March 1 and April 11. On other days, replicas are on exhibit instead. 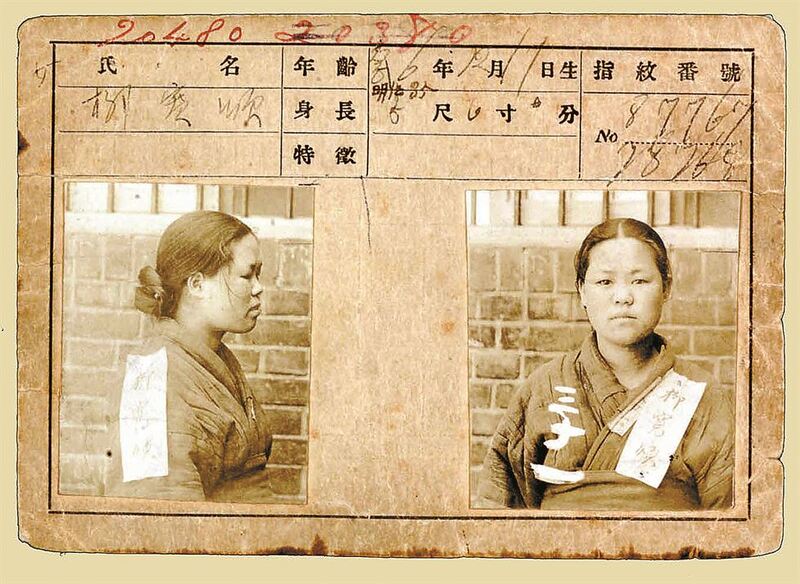 Prisoner registration cards provide information about demographics of those who took part in the March 1 Movement. The cards bear general information on each prisoner such as name, age, charge and court where the sentence was given. "The prisoner cards have minimal information on prisoners and detailed reasons for their imprisonment can be found through the ruling. However, these cards show men and women of all ages joined the March 1 Movement, confirming the importance of the anti-Japanese colonialism rally," explained Park Kyung-mok, director of the Seodaemun Prison History Hall. A total of 1,014 prisoner cards are created for prisoners confined for the March 1 Movement. "Most of their charges were a violation of security or publication law or rioting, indicating they were political prisoners," Park said. About 85 percent of the prisoners were commoners, while 15 percent were from the noble class. The prisoners' ages and occupations vary widely from a 15-year-old boy to an elderly man in his 60s. According to the prisoner cards, people from about 80 different professions including students, religious people, merchants, farmer, teachers and nurses were arrested for the March 1 Movement. The highest sentence given was 12 years to four people and over 750 of the convicts were sentenced from six months to a year and a half. The exhibition also pays tribute to the 33 female prisoners of the independence rally, including Yu Gwan-sun for her organization of the marches at Aunae Marketplace in Cheonan, South Chungcheong Province. The exhibit runs until April 21.